Yamaha NC-ICS400 in-ceiling/in-wall speaker is a fantastic integrated speaker for home theatre set-ups. 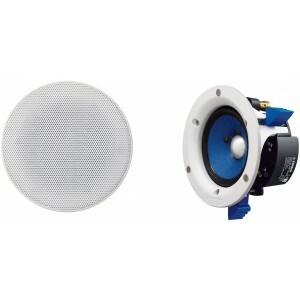 We also stock IC-600 and the superior IC-800 speakers. Yamaha NC-IC400 speakers are fantastic for home theatre or an in-wall speaker system. The speakers feature a double-layer 4” cone, which results in a natural sound tonality. The ridge-shaped aluminium central cap with step-like speaker surround which acts to the smooth frequency response across the spectrum. 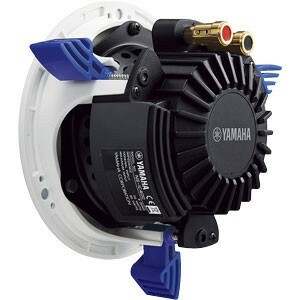 Yamaha's ethos is to put sound quality as paramount in their designs, which combined with decades of experience in producing high-quality loudspeakers, ensures that the sound of these speakers is superior to that of many other in-ceiling or in-wall speakers. Please Note: The colours and finishes shown may vary from those on the actual products.